You guys, we're officially in April. Wow, I honestly cannot grasp the fact that this year is going by so quickly. 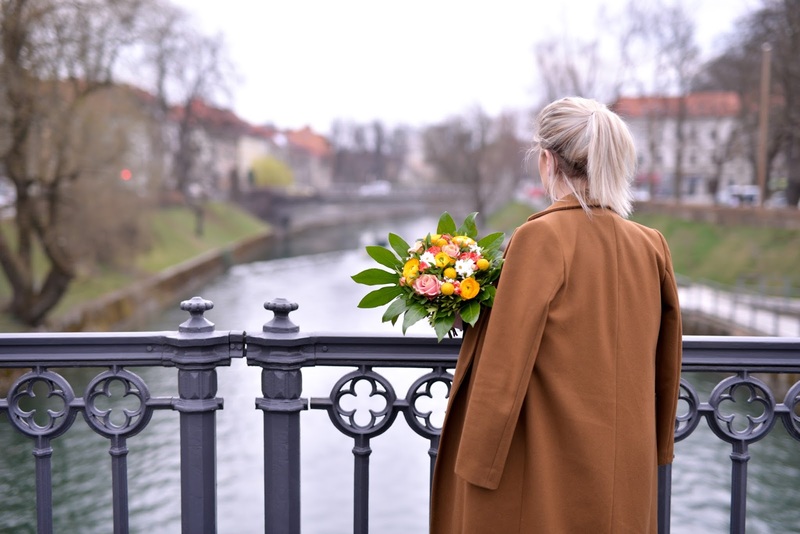 I've been very busy over the past few weeks - from meetings, to two Ljubljana fashion weeks, I barely found any time to sit down and write a proper post. If you've been following me on Instagram and Instastories you would be able to see what I've been up to. But more updates coming soon. In the next week or so, I promise. To mark the first few official weeks of spring, I decided to include some flowers into my Item of the Month segment. I'm cheating a bit this month and presenting two favourite items of the month. So March's picks are a black embroidery dress from Zara and this gorgeous bouquet I was given on a photoshoot. Little black dress is another staple wardrobe piece every woman should own. It has been my go-to fashion item for the past few weeks - I especially like the embroidery details all over, which set this dress apart from the rest. It's definitely not just another simple black little dress. If you've read my latest post, you already know I'm completely obsessed with this trend (click here to read the whole post), which will be everywhere during the spring and summertime. My March go-to outfit was: pairing the dress with ankle boots, brown tailored coat and a cross-body bag, all from Zara. I have always loved fashion because it's a great way to express your mood. It is important maintain your beauty with your fashion. To maintain your self it is very important. Good makeup plus good outfit makes you to look gorgeous.